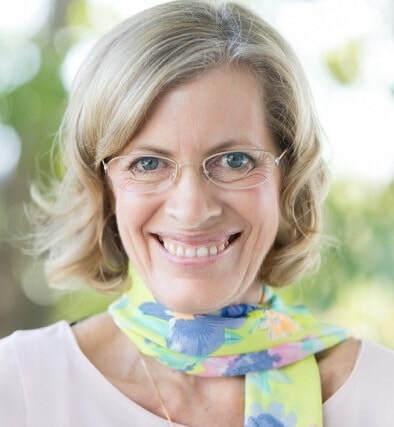 Jennifer has been presenting to audiences throughout Brisbane for over 8 years and is a well-known and loved speaker who brings insight and a fresh perspective to a wide range of topics relating to health and well-being. She has been instrumental in the long-running and popular Wellbeing for Women presentations for over 4 years, monthly presentations in which she supports women to be inspired and empowered in making the changes they feel are true for them. She draws on her own experience as well as a long clinical history working with clients in private practise, observing what it is that underpins our ability to make and sustain true change. She is a great advocate for the value of community and regularly volunteers her time to a range of projects supporting people in a not-for-profit or a profit-for-purpose capacity. Jennifer has the unique ability to redefine what it means for us to be truly well and vital and to a sense of well-being usually only associated with our very young, offering audiences the opportunity to pull themselves out of the daily grind. Her body-centred approach is one that incorporates an understanding of the impact outer aspects of life have on us, however the success of her approach lies in supporting audiences to re-establish a relationship with their own bodies and through this, re-connect with an essential aspect within. In other words Jennifer supports people to recognise that their well-being comes first and foremost from a connection to who they are in essence and to living life true to that essence and therefore, living true to themselves. She is dedicated to supporting people and places great value on walking her talk, understanding that it is only through true inspiration we are able to make and sustain the sort of true changes we seek. She offers practical, take-home tools to support an understanding of not only what’s needed, but the keys to building a solid foundation of vitality and well-being that supports us in every aspect of daily life. Jennifer is widely sought throughout Brisbane and beyond for her professional skills and capacity to support sustainable change and presents regularly to groups across all sectors: education, government and corporate. Exhaustion, burnout and overwhelm – turning it around using the body's innate ability to rejuvenate. Self-worth & self-esteem – the difference and the significance. Understanding self-worth and its role in self-care. How we build self worth daily. Food and nutrition – a unique approach free from dieting, discipline and rules. Eat to support well-being, THAT ensures a well-body.